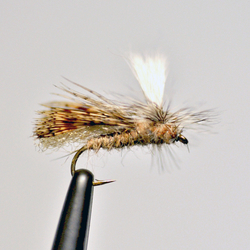 Caddisflies are extremely important on all waters of the Henry’s Fork region. Their life-cycle consists of an egg, larva, pupa and adult. Most species require a year to complete their life-cycle. The larvae are a very important food source for trout, especially during the winter months. All larvae are classifled into three types: Free roaming, net spinners, and case makers. All form a pupa prior to emergence. The pupae are normally far more important during emergence than adults. The egg-laying process either occurs on the surface or females dive under the suface to lay their eggs. April through October. Emergence and egg laying commonly occurs during the morning or evening hours. 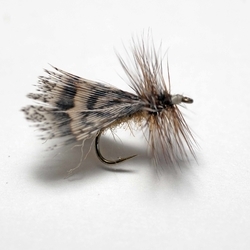 Other caddis hatches pale in comparison to the Spoted Sedge and the Grannom. 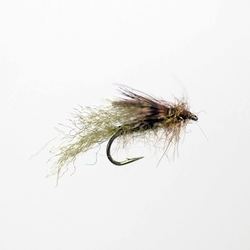 For most anglers, defining caddisflies as to species is not as important as mayflies. 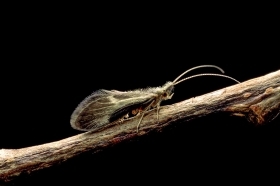 Understanding the biology of caddisflies in comparison to mayflies is very important. Properly imitating the pupae, emerging adult and egg-laying adult as to color, size and shape is the key to success.